The estimated time of delivery is 5-10 working days, though some products may take longer. We are committed to getting your products to you as soon as possible. 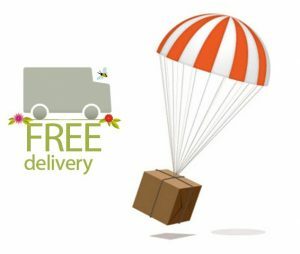 We provide Free CASH ON DELIVERY (On online Payment). Once Product is Shipped you are provided with Link and Tracing Id so that you can track your product (On WhatsApp or Email). Product Delivered and Product Ordered are different. In any of the above cases you will need to send email to deshpandeoptician@gmail.com and after confirmation from our end courier person will pick the damaged product / wrongly delivered product from your address. If wrong product is delivered after your confirmation we will deliver the correct product that was ordered. Or you can buy a different product with same or greater price. If any bulk orders (more than qty. 2) gets placed, Deshpande Optician reserves the right to cancel that order without any prior information. Deshpande Optician is not liable for any physical damage or other damage including blurriness to your eye. Deshpande Optician reserves the right to change/modify/add/delete terms and conditions of prevailing Gift Vouchers. If any Order gets placed with an unusual discount due to any technical issue, Deshpande Opticianreserves the right to cancel that order. Offer may not be applicable for all the products on the website/application.